Driven by vision to achieve significant growth in this industry, we are committed towards providing a wide array of Diesel Engine Camshaft. The AV2-2Cy version of Camshafts provided by us is considered best-in-class by all industry experts. Through proper lubrication, the friction generated in the operations of this product is considerably reduced, thereby increasing its service life. This product performs exceptionally well even in harsh operations conditions, and is a favorite with industry leading organizations. We are a remarkable entity in this domain, engaged in offering a qualitative assortment of Diesel Oil Engine Parts. We are leading manufacturer and supplier of this part to leading diesel engine manufacturing companies with best quality. We are the leading manufacturer & supplier of Fuel Efficient Camshaft for DLW Engines. We take pleasure to introduce ourselves as one of the renowned firms for providing the best-in-class range of Diesel Engine Camshaft. 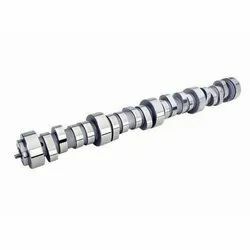 We are identified as one of the leading names in the market engaged in providing a wide range of Diesel Engine Camshaft to the clients. Also, we are offering these products at very affordable rates. Our competency lies in manufacturing and supplying our clients an excellent quality range of Diesel Engine Camshaft. We are largely exporting Engine Camshaft, Engine Push Rods. Complete range of Camshafts for Diesel Engine are available in our range. Push-rods are of OEM standard. 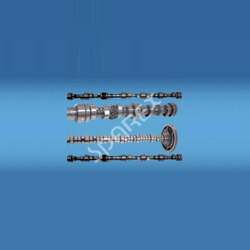 Camshafts We are engaged in offering camshafts to our clients. Camshats for Cummins models.N-495, NT-495, NTA-495. - N-855, NT-855, NTA-855 Big Cam & Small Cam, N14 STC, N14CELECT. - 6BT & 4BT Models, 6CT.